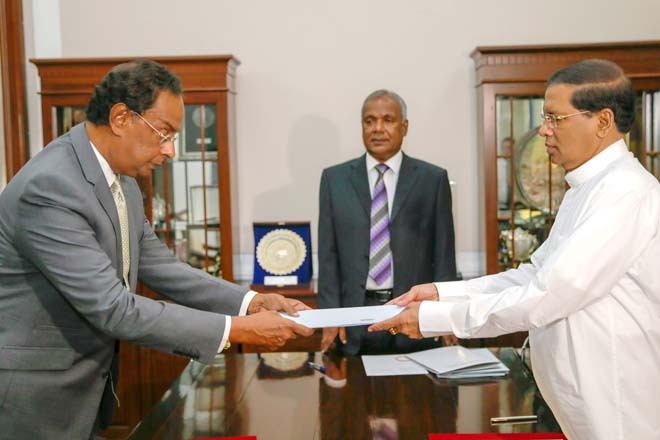 Aug 24, 2015 (LBO) – Three cabinet ministers took oaths before the President of Sri Lanka ahead of a full cabinet due to be sworn in on Tuesday. 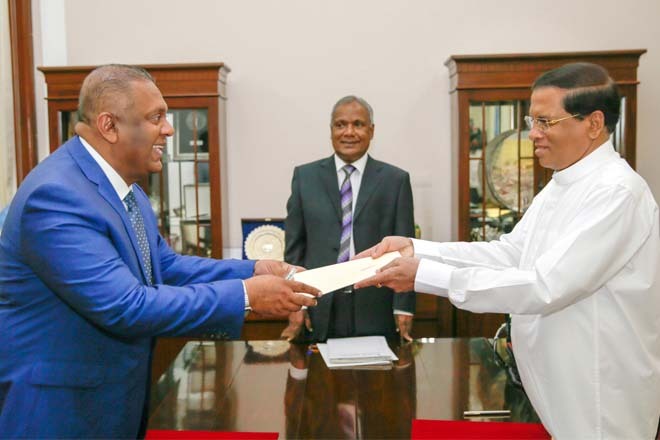 Mangala Samaraweera took oaths as the Minister of Foreign Affairs, Wijeyadasa Rajapakshe as Minister of Justice and D.M. Swaminathan as Minister of Rehabilitation. 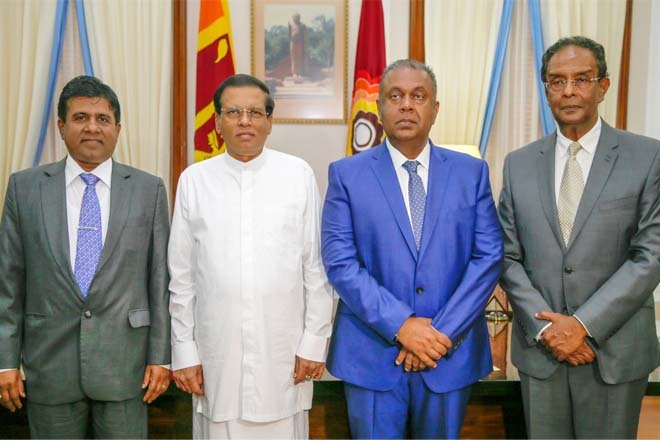 The ceremony to for the rest of the cabinet positions will be held tomorrow before President Maithripala Sirisena and Prime Minister Ranil Wickramasinghe at the President Secretariat Office. Most of the ministerial portfolios of the previous government are likely to continue with 33 from the United National Party and 17 ministers selected from Sri Lanka Freedom party. The source said former Finance Minister Ravi Karunanayake is likely to continue in his position.